The third annual Bloggers Conference is coming to Walla Walla in June, and a number of bloggers have already been kind enough to recommend my book as a valuable reference tool. As the dates draw closer I will from time to time, dedicate this blog to offering some background information on Washington state viticulture, wine and wineries. This week I’ll take you on a quick tour of the five most essential varietals grown and made in Washington. For each I’ll suggest an affordable, widely available “benchmark” version, and a more expensive “iconic” wine that represents the best this state has to offer. Recent Nielsen statistics confirm riesling’s return to popularity. It’s a full-circle return here in Washington, where in the early days of the modern industry the state was considered too cold to grow all but the most winter-hardy varietals. The first round of Washington rieslings – often labeled Johannisberg riesling or white riesling – were uniformly fruity, sweet and simple. Tasting room wines, they provided an inexpensive gateway to the further appreciation of wine. A failed step forward was the establishment, briefly in the early 1980s, of the Langguth brand. This German powerhouse bought and planted hundreds of acres of desert scrubland outside of Mattawa, and built a massive, high tech winery dedicated to making German-style cabinets, spatleses and ausleses. For a few short vintages, the wines showed real promise, then Langguth folded its tent. Whether by coincidence or simply fate, riesling disappeared from the spotlight at about the same time. The wines were still made, still sold in tasting rooms, but there was little interest in seeing what could be done to make anything of higher quality. Chardonnay and merlot were the hot items of the day. Sometime in the mid-1990s an idea began to form at the highest levels of winery management that riesling might be ripe for a renaissance. Then came announcement, a decade ago, that Chateau Ste. Michelle and Germany’s Ernst Loosen would collaborate on a new project dedicated to crafting the best possible riesling from Columbia valley vineyards. That wine, named Eroica, has fulfilled its early promise, both mapping and revitalizing the stature of the riesling grape as grown here. It has been followed by others with the same dedication, notably Poet’s Leap, a similar American/German collaboration from Long Shadows; and a fine lineup of single-vineyard, organic and biodynamic rieslings from Randall Grahm’s Pacific Rim winery. 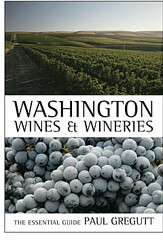 Today you’ll find Washington rieslings made in every conceivable style, from bone dry to lightly honeyed to intensely sweet/sour to late harvest and beyond. The Single Berry Select from Eroica sells for around $200 for a 375 and has been widely acclaimed as the finest dessert riesling made in America. Benchmark: Snoqualmie 2008 ‘Naked’ Riesling; $12. This succulent, off-dry Riesling from organically-grown grapes opens with floral top notes, fills out the palate with crisp apple and peach fruit, then turns almost tropical, with a lingering finish loaded with honey and papaya. Icon: Pacific Rim 2008 Organic Riesling; $14. Also from organic grapes, this is also off-dry, the sweetness perfectly proportionate to the acid, with refined flavors of honey, jasmine and tea. The classy label shows a raised etching of a grapevine with the soil cut away, revealing a trailing root system. The Organic Riesling from Pac Rim is fantastic! We tried this wine last weekend alongside our take out Thai from Djans in Wallingford. What an experience! The flavors of honey and apricots matched up beautifully with the spicy BBQ chicken. We bought this wine at PCC in Fremont for $13.00. What a BARGAIN!